Say “yes” to today! Whether you’re a morning person or the type to hit the snooze button at least 6 times before getting up, you should consider reciting this mantra. In a minute, you will feel completely relaxed and inspired, ready to take on any challenges you might face throughout the day. Tanaaz Chubb, author of MY POCKET MANTRAS, shares the morning mantra that will kickstart your day. Morning Mantra: Whatever I do today will be enough. Recite this mantra as many times as needed either out loud or quietly to yourself in the morning. As you repeat the mantra, gently nod your head like you are saying “yes.” This positive movement will help you affirm that whatever you accomplish today will indeed be enough. There are only so many hours in a day, and this mantra is there to help relieve any pressure you may be feeling about getting things done. Sometimes before you have even started your day, you can feel overwhelmed about all the things you need to do and all the places you need to be. This feeling can instantly make you stressed and anxious, and these draining emotions can follow you around for the rest of the day. Besides doing practical things like making a to-do list, reciting this mantra can definitely help turn an overwhelming day into a more manageable day. This mantra instantly brings acceptance and reaffirms that even though you may not get it all done, it will be okay and there will be a solution. This mantra also serves as a reminder to be gentle with yourself and that you don’t have to pressure yourself into trying to be a superhero. There is only so much one person can get done in a day, and sometimes certain things are just going to have to wait. This mantra reminds you of that from a supportive and loving place, which in turn will help you feel less stressed and overwhelmed about the day ahead. The most important meal of the day is breakfast. Make sure you’re starting the day off with a hearty and healthy meal. 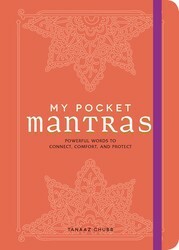 Find a moment of peace and comfort with this beautiful, pocket-sized mantra book—giving you a chance to easily recite mantras throughout the day or whenever you need a pick-me-up.Words are powerful and have the ability to shape our thoughts, change our perception, connect with others, and provide comfort in our daily lives. My Pocket Mantras provides more than 140 mantras designed to help you shift your mindset in a positive way. 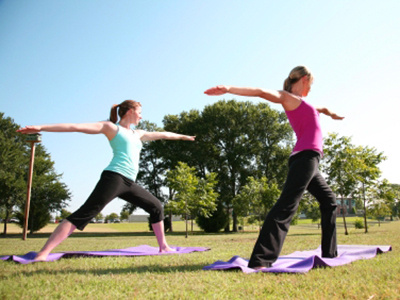 You’ll find mantras for self-love, healing, success, releasing stress and anxiety, and more. With short, rhythmic phrases that are easy to recite and repeat, each mantra includes insights into how to direct one’s thoughts and experience its benefits. Tanaaz Chubb is the co-creator and owner of Forever Conscious, a website dedicated to spiritual well-being, mindfulness, and healing. She is the author of Becoming Forever Conscious, Messages for the Soul, and The Power of Positive Energy, has been featured in Elle Magazine Italia, and is a contributing writer for Huffington Post.